No 2 Pitfall: Doing research without getting "Analysis Paralysis"
James can be contacted on his mobile 0416 137 645 or through his website www.jamescagney.com.au . This article covers pitfalls to avoid if you want to become a successful property investor. Recognize that what you should not do is as important as what you should do to escape costly mistakes. Many investors never get past their initial property investment because they made bad choices. You need a long term strategy to build a property portfolio if you want to enjoy a comfortable retirement. Choosing the right property does get easier with each additional property purchase you make. The old adage 'practice makes perfect' certainly applies. To this end we are providing you with the seven most frequent pitfalls property investors regularly encounter. Also included are strategies on how to succeed in property investment. The biggest pitfall is buying property with one's personal choices in mind instead of researching the demographics applicable to the area. We like to choose new, spacious homes with high ceilings, stone bench tops, imported stainless steel appliances, expensive tiles, expensive lighting and blinds, marble bathrooms, en-suite spa bath, ducted air conditioning; etc. The danger is that you may overcapitalize for that area or create a highly negatively geared property because renters will usually not usually be prepared to pay additional for the perceived luxuries. Select durable, easily replaced, and good priced fittings and fixtures on products for which spare parts can be readily sourced locally. Speak to property managers in a local real estate companies about what tenant's expectations are in that specific area. Once you have the profile of the tenant you will know what properties to look for. You need to differentiate between the tenants' "Needs" and "Wants". Tenants do not want to make landlords rich at their expense and whilst many of the tenants today have high expectations they are unwilling to pay more than they have to. After all everybody wants a bargain. If, however, you are competing for good tenants in an area where renters have many options, then you sometimes need hat little extra incentive to bring you the better tenant. For example, if the area has a plethora of townhouses with only one garage, then a covered car port alongside the garage would give you a decided advantage. You are buying this investment property to create financial wealth. By doing the homework on what tenants expect, you will then avoid having your property empty. If you are not a first time property investor and you have made a mistake purchasing a specific property which has not reached your expectations or delivered the expected returns then use the experience as a learning curve and do not retreat into your shell. We all make mistakes but remember that it is not the mistake which defines us - it is how we react to what has happened that will determine our future success. Set specific goals of you want to achieve from the investment. Ask yourself the tough questions upfront to avoid an emotional roller coaster ride when things go wrong. Ask yourself:What property will best match your investment goals? Is the investment for long-term capital growth or short-term yield? Will you be able to manage the cash-flow issues that may arise? Will the property be attractive to the owner-occupier market for resale later on? If you venturing into the investment property market for the first time it's important to realize that one investment property is not going to help you achieve financial security in the long term. The objective is to build a property portfolio with solid foundations so the first property is crucial to the strategy. Although we absolutely believe in doing research investors need to find a mentor they can trust who will guide them through the depths of research that is available today. We get 'information overload' by the sheer number of books, magazines, CDs, DVDs, websites, seminars that are available. It is impossible to know everything about investing in property and it could be a good idea to find a mentor or a company / organisation to help you. Request testimonials and obtain permission to speak to their clients directly. Information on capital growth in particular areas of interest can be gained from a number of good quality websites, but you will need to be careful that the owner of the website is getting information from a reputable source and not just trying to 'peddle their products'. The marketing companies have an uncanny ability to skew research so they can push their own developments or properties. Property investment magazines also provide invaluable information on growth rates etc. There are many reputable companies which specialise in property analysis e.g. : 'RP Data' and 'Residex'. These companies also provide capital growth projection reports for a nominal fee. Free advice is often worth as much as you pay for it. Always 'Look beyond what you see'. Sometimes the media is used for sensationalism to sell their newspapers to increase readership so they can illicit more advertising. They do this by propagating 'Booms, Busts and HOTSPOTS'. Take these with a pinch of salt because by the time they are talking about it you have probably 'missed the boat'. The opportunity to get in early on a growth area will most likely have already shifted. Be aware of which property marketer is advertising in the newspapers and in what location. Then check the editorial for bias - the marketer is a paying customer. Many potential investors suffer from information overload, swaying back and forth with the dreaded condition of "Analysis Paralysis" and remain trapped by their fear of making mistakes. We understand that investing in property is a huge commitment and you must seek out independent research. You will never know everything about an area and you do not have a crystal ball. So don't get bogged down under all the paper and find someone who will do that work for you. Look for a person who specializes in investment property. The local real estate is more interested in selling you a property which he has listed and may be inclined to push a property on which their 'sole agency' or 'exclusive listing' is about to expire. In direct contrast are the 'impulse purchasers' who are motivated to 'buy now' because their friends and family said they should or they believe they pay too much tax and they want to claim the tax rebates as soon as possible. In their haste to purchase they do not follow the principles of sound investment. You need to follow a tried and tested formula that will ensure that you make an informed decision.Procrastinators and the impulse buyers do not appear to grasp the fundamentals of sound property investment. Your family, accountants, well intended relatives, colleagues or good friends are usually not experts when it comes to investment property (even though they think they are because they have may have bought an investment property) and cannot provide objective advice tailored made to your specific situations. Never take advice from people who do not possess more assets than you do as they have not "earned the right" to give you expert advice. Are there good schools, shopping centres, child care facilities, medical practitioners and transport? Is there a highway or motorway access? What are council's future plans for the area? What kinds of developments are being planned for the area? What was the capital growth of the area over the past twelve months, five and ten years? What is the predicted growth for the future? What is the vacancy rate of the area? Has the property been tenanted before, for how much and for how long? If you are buying an existing home do not purchase a property without the necessary inspections and legal searches. You may uncover the hidden reasons for the owner selling this property at the bargain basement price. Insist on Termite inspection certificate. Conduct checks for structural defects. Check if the property is in a flood zone. Check that the property meets the councils' approval especially important if any alterations or additions have been made. In those instances ensure that the alterations and or additions have been approved by council or you will have to remove the addition or alteration at your cost. Knowledge of these potentially financially disastrous problems will prevent you purchasing a large money pit. A qualified building inspectors report is worth its weight in gold and can help you negotiate a price (downwards if there is work to be done). These costs are a tax-deductible expense. Do not get sideswiped by a glib real estate salesperson and a dishonest vendor. You do not want to be stuck with a lemon. If you are buying a home or a house and land package in a new estate you still need to complete your due diligence and legal searches. Have the solicitor thoroughly check the contract. Vendors have a way of hiding clauses in the most unexpected places within a contract. A good solicitor and an accountant will help you avoid making costly errors. Ignorance of the law is no excuse so employ the services of professionals who will assist you to build a solid property portfolio. 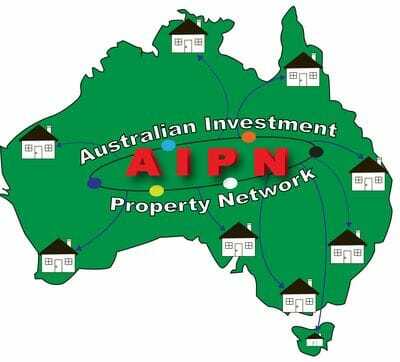 The Australian Investment Property Network (AIPN) was created to assist property investors to network and increase their knowledge through "Sharing", "Learning", "Experience" and "Mentoring". Call James Cagney at: 0416 137 645 or go to www.jamescagney.com.au for assistance in this regard. Investing in property is not a "get rich quick scheme" - it is a "get rich slow strategy". You are in for the long haul and need patience to allow the properties to make money. There are upfront costs such as stamp duties, mortgage stamp duty, registration costs which will be recovered over the long term. If you need cash flow, borrow on the equity of the property because it can be difficult to offload a property quickly. It is easier to purchase than sell property in a hurry. There are always costs involved in both buying and selling property e.g. capital gains tax and legal costs. Capital growth is important because this is what creates serious wealth for property investors. Cash flow properties put money in your pocket but generally do not have high capital growth rates. The exception is mining towns, but these need to be treated differently as they are one-industry towns and the capital growth and rental returns are subject to major shifts and aligned to the performance of that particular mining commodity. Do not buy property solely for gearing purposes (sometimes called "negative gearing") solely to obtain income tax breaks. Any tax benefits should be a by-product of the investment strategy (although it is a great feeling to get part of your hard earned money back from the taxman). The GST on the above? YOU do! Why not buy an investment property and structure it properly so that the tenant and the taxman pay the most of these costs and you contribute the lesser amount. Ibis called using 'OPM' (other peoples' money). Now ask yourself why are you not taking advantage of this? Property allows you to access to bank funds by borrowing against your equity. This way you borrow from a financial institution to increase your property portfolio by using Leverage (using a small amount of money to control and hold a larger asset). My definition of retirement is 'waking up very day and deciding if I want to go to work or stay and play'. You can only do this when you have sufficient passive income. You can add to your property portfolio surely and steadily over time by using the equity gained to buy another property, and then another until you have sufficient passive income to semi-retire or retire comfortably. This is called Compounding Growth and is the same principle that has banks use to make billions every year through "compound interest". Can you think of any other form of investment that allows you to successfully accomplish this? Ignore what the media and property marketers and real estate agents "Spruik" about the next "Hotspot", "Bargain of the month", "desperate seller must sell now" and other enticements to create urgency that glides off their tongues. Remember the two "P's:" Patience and Persistence. Doing your homework and not allowing yourself to be ma nipulated will help you to successfully hold and control investment properties and financial benefits will follow over time. Once you have settled the property, found a property manager and have a tenant in place you should contact your accountant to discuss how they can assist your cash flow by lodging a PAYG variation to get your tax rebate from the Australian tax office (ATO) every time you are paid by your employer. You will know the income (rent) you are receiving after costs, the payments you are making to the bank and the amount of depreciation on the property (more claimed on brand new properties).Your accountant can then assist you by lodging a PAYG application with the ATO, and within a few weeks you should have extra cash in your pay packet. Ask your accountant what information they require, and the due date, to lodge your yearly tax returns, and how much this will cost you each year so there are no surprises. These costs are tax deductible. There are serious implications of jointly purchasing a property with a friend, in a partnership or in a syndicate. You need the advice of a solicitor and a finance broker before going down this risky route. Always seek professional advice where necessary to determine whether investing in property is appropriate for your individual circumstances. James Cagney is more interested in having a 'client for life' than just making a once only property sale. 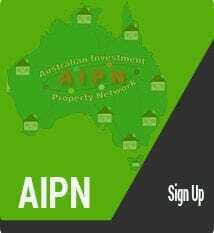 James is the founding member of the Australian Investment property Network (AIPN). He will refer you to reputable accountants, solicitors, mortgage brokers, financial planners and companies which provide depreciation schedules. These members provide good customer service with reasonable fees. Give James a call at: 0416 137 645 or go to www.jamescagney.com.au . Experienced investors' factor in the following hazards: interest rate hikes; having no tenant; having bad tenants; loss of income which can create financial hardship. The pitfall, an even worse outcome, may be having to have a 'fire sale' and selling your property at a loss. Prevention is better than cure here are some ideas on how to plan for, and to avoid, any unforeseen unfortunate circumstances that sometimes occur. A good finance broker will help you through these hard times and assist you to negotiate with the lending institution. Banks are not in the business of selling property. They are in the business of lending money and making huge profits. Contact a reputable broker to find out how much you can borrow based on your income, current financial commitments and available deposit, and about interest rates on offer and the period of a loan. It is advisable to obtain pre-approval for a loan and know your expected monthly repayments and interest rates, both fixed vs variable, and interest only or principle plus interest. You can then begin searching for property with the certainty knowledge of your purchasing capacity. 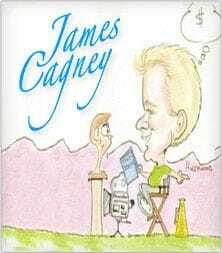 The Author, James Cagney, is a licensed credit representative (No. 462890) of Asset Financial Services Pty Ltd (credit License No. 389402), who have helped investors throughout Australia to mortgage their homes, finance investment properties and refinance their bad debts. Call James directly by mobile at: 0416 137 645 or go to www.jamescagney.com.au . Carefully consider how you will structure your loan. Should you lock in rates for a fixed term, leave it at the variable or go halfl-half? A good finance broker will assist you by setting up a finance structure suitable for your specific needs in the long term. Whatever property you decide on, when it comes to the actual financing, do not simply be satisfied with a retail loan the banks offer. You definitely need the most suitable advice from a qualified professional in this field use a mortgage broker, thereby eliminating many of the pitfalls. This will also cut down on time consuming applications through a retail bank loan. The bank clerk gets paid whether or not you take out a loan with their employer. They may not have the motivation to have your best interest at heart. In my opinion, banks are more interested in profits and looking after the shareholders' interests than looking after their day to day customers. You will reduce the stress levels waiting for approval, particularly if you are new to investment property. The mortgage broker only gets paid if you succeed in getting the loan so they are highly motivated to get you a good deal. There are numerous packages offered by the banks and other lenders. These can be very confusing so let the mortgage broker do the leg work to find the most suitable loan for you. Mortgage brokers can save you thousands of dollars on interest and help you pay your home loan off quicker. Selecting the wrong loan can be as detrimental as making the wrong choice of property. 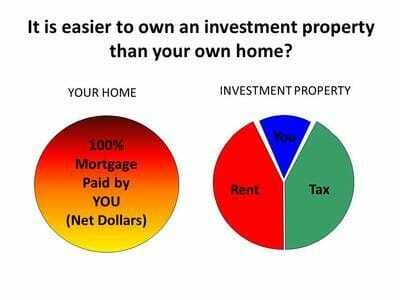 One of the secrets of the rich is to use their investment property (good tax deductible debt) to pay off their home mortgage (useless non-taxable debt). The reason for this is that many property owners do not understand the difference between 'good debt' and 'bad debt'. Once this concept is fully grasped, fear of good debt quickly disappears. James Cagney is a licensed credit representative with Asset financial Services Pty Ltd and can guide you to obtain the best loan possible for your strategy. We believe everybody has the right to have 'a fair go' in investing for their futures. Let us help you. To find out more contact the author James Cagney at: 0146 137 645 or go to www.jamescagney.com.au . Once you have located a property, negotiated a sale price and exchanged contracts, begin researching local real estate agents to find a property manager with a good track record. Take the time to visit a few local agents, talk to them and ask questions. You will be employing them to care of a major asset so interview them and obtain testimonials from other owners. They know the profile of tenants in the area and what these prospective tenants are prepared to pay. Do not be reticent to accept a rent which may be lower than that promised by the glib salesperson. It is better to reduce your rent within reason than have no tenant. They collect the rent on time or make arrangements for it to reach you in time to pay the mortgage. If things go wrong, they appear at a tribunal with evidence at hand to defend your position. They arrange all maintenance issues some of which will occur without warning. They arrange the entering and exiting tenants' reports and financial requirements. They are available at regular and reasonable times. Have an agreement in place specifying duties and responsibilities covered by the Property Manager's fees. For example all bills to go to the agent for payment who will contact you for approval if the maintenance exceeds a set amount. If minor repairs are needed, the Property Manager will attend to this and these will be itemized on your owner's account. Major repairs will require your approval. Your property manager will issue you with monthly statements reconciling rent and expenses, and will deposit money directly into your nominated bank account. They are being paid to manage your property, so don't do it for them just manage your relationship with them. Hire the best property manager in the area. Check how many properties each property manager in the office personally takes care of. If the manager handles more than 50 properties then their workload may not permit them to sufficiently look after your property and your best interests. Check the age of the property manager. A young inexperienced person may not have sufficient empathy wi th tenants, or conversely may not be forceful enough to handle any contentious issues. You need to be able to maintain a good working relationship with the property manager. Most agents expect a commission of around 5% to 7% of the gross rent. You can negotiate but do remember if you "pay peanuts you get monkeys". The right property manager not only makes sure the entire investment flows smoothly for you and your tenants, but also allows you peace of mind and time to concentrate on developing your investment property portfolio. An exit strategy is your back-up plan for situations when things go horribly wrong and when you need assistance without incurring huge financial losses and the emotional turmoil that accompanies these events. What happens if you can't find a tenant? What happens if the property burns down? What happens if you lose your job and can't pay the mortgage? What if your personal circumstances change? What happens if your tenant doesn't pay the rent? If you haven't devised an exit strategy for these types of situations, then you're not in a position to be able to manage your investment portfolio. Have a plan to be able to handle each and every disaster that may come along. Having an exit strategy will give you peace of mind required on your journey to be a successful property investor. Investing in property can be stressful at times and it is not worth jeopardising your financial situation, lifestyle or relationships. Insurance: This includes building, contents and landlords insurance. You need the peace of mind to know if problems arise your insurance policy will cover it. Consult with an expert insurance agent to make sure you have the correct and adequate insurance coverage for your property or properties. Read and understand the terms and conditions on your policy as insurance companies vary greatly as to what they will cover. Do not go for the cheapest quote and be left short if there you need to make a claim. Insurance is tax deductible so do not skimp. As part of your mortgage, your lender requires you to have building insurance but this alone does not cover you for any of the contents such as carpets, window furnishings, light fittings etc. Therefore you will need to obtain contents insurance as well. Your insurance company will advise you on how much cover you will require. is usually included under the body corporate insurance policy. Check with the on-site managers for a copy of the policy to ensure the policy is adequate and whether or not it includes areas such as your car park and/or storage areas on your part of the title. Life insurance to cover the mortgage in the event of a passing of one of the owners is a wise and prudent option. It is irresponsible to leave a spouse or partner behind to carry the mortgage payments. Asset Financial Services Pty Ltd will refer you to reputable insurance brokers who understand the intricacies of the many insurances policies on offer. These insurance brokers get paid a brokerage fee so make use their professional services at no extra cost to you. Call James Cagney at: 0416 137 645 or go to www.jamescagney.com.au . Are there other Pitfalls when buying investment property? This article does not cover every pitfall that exists when buying and holding investment property. My advice is that you always proceed with buying investment property with caution. Undertake your due diligence but do not get "Analysis Paralysis". It is imperative that you take into account market shifts, trends and the property cycles when purchasing a property. The subject 'Property Cycles' is contained in a separate e-book. You can read an article on Property Cycles by going to www.jamescagney.com.au . Below is the diagram and the article explains how the cycle works.Buying investment property is about timing, affordability, minimising the risk, time in the market. The optimum is to buy at the bottom of the market to enjoy all the capital growth. Unfortunately most investors buy near the top of the growth cycle and are disappointed at the performan ce of their investment property. If you want to find out more about the Property Cycle & Cycle of Market Emotions (copyright of James Cagney). 1. "Look beyond what you see". Do not be fooled by glib sales people dressed in expensive suits, driving expensive cars, who know how to 'talk the talk'. Many of these 'Prima- Dona's' do not 'walk the walk' because they spend their money on bad debts i.e. expensive cars. Ask them to give you the addresses of the properties they purport to own. You can check the ownership on RP data. 2. Question sales people and ask why they are recommending a particular property. Ask them how much commission the company / agency earns. Many of the developers pay the marketing companies as much as $30,000 to sell their properties. This exorbitant amount is disguised as "Marketing Fees" paid to the marketer. What it means is you are paying too much. Ask these marketers for at least two valuations on the property. Call the Valuation Company and question how they came to their valuation. 3. Beware of the urban legends out there. There are many horror stories out there. By taking advice from friends and family you run the risk the negative advice as these well intended people want to protect you from losing money. Their answer may be to do nothing. After all the government will look after you in your retirement. If you believe that you will be reduced to a retirement of scarcity and lack, agonising over every dollar you have to spend. You may be broke, embarrassed and ashamed and living off the charity of the government, friends and family. It is much better to live life with a LIFESTYLE of your choice and DIGNITY in your latter years. 4. Has the sales person taken into consideration your personal circumstances? Has he looked at your goals, equity available, income, job security, family plans and ongoing expenses? Has he invited a finance broker to show you how much the holding costs are taking these factors into consideration? There are programs and spreadsheets that mortgage brokers' use that can show you this and you can ask "what if" questions. That way you will be in a position to make a decision with your head not your heart. 5. Be prepared to pay for good advice and service. People who strive to get free advice end up making poor decisions and losing money in the long term. Free advice is mostly worth what you pay nothing! Select advisers who have a pre-set formula and a game plan to successfully assist you to build a property portfolio. 6. Develop a relationship with your real estate agent and your mortgage broker. If they have your best interest at heart you will know because they will want you to maximise capital growth and rental yield. They should do this because they should be advising you to buy property with the aim of looking towards your next property investment a client for life strategy. James Cagney, th e author of this e-book, is the principal of IRPS Associates Pty Ltd (Qld License No: 3048759), with over 12 years' experience selling Australian real estate. He is a property investor and long-time member of the Property Investment Professionals of Australia (PIPA). James will help you formulate a long term strategy to build a property portfolio which will assist you to obtain passive income and a retirement with lifestyle and dignity. James is the founding member of the Australian Investment Property Network which was created to assist property investors to network and increase their knowledge through "Sharing", "Learning", "Experience" and "Mentoring". Membership of the AIPN is a commitment to the strategy which is been tried and tested for decades and yet only a small percentage of individuals have benefited from the principle of creating wealth. This principle is often called the "Master Mind" revealed by Napoleon Hill in his book "Think and Grow Rich". Although this is a powerful strategy few have tried it because it takes time, effort and commitment. Benefits are enormous those who have persevered and been able to gather considerable wealth. Susanne Temperley and Angela Del Marco are directors of Asset Financial Services. They have guided the company for 18 years and the company has received numerous 'service awards'.They understand that our clients want to be financially secure and ultimately debt free. To this end the Award Winning Team at Asset Financial Services Pty Ltd are able to assist you through every step on your wealth creation journey by providing in-depth guidance, assistance and advice on most finance related strategies. The team of highly trained professionals will 'hold your hand' through the process which will give you the peace of mind that you have made the right decision. If you would like a the copy of the article "Essential Insiders Guide to Lending" please contact James at www.jamescagney.com.au . I trust this eBook will prevent you making the mistakes that many other property investors have made. Ignornance is no excuse and if you have read this eBook you have no where to hide. James has another eBook about inveting in property that will be of great benefit to you. Click >>>HERE to view "The 7 Secrets of Profirable Property Investment". I know theis ebook will help you towards your journey to create welath for you and your family. I also know that once achieve wealth you will be able to understand the great blessing of giving to worthwhile charities. This is not financial advice. You should not act solely on the basis of the material contained in this eBook for your investment strategies. Changes in government and legislation occur frequently and without prior notice and financial markets are unpredictable. Please note that the information herein is of a general nature only and is not intended as specific advice for any particular person or entity. Asset Financial Services Pty Ltd.